Enter Avon Coupon Code ANEW at checkout and receive a FREE Anew Power Serum with your $50 Order of Avon Beauty Products and Avon Skin Care. Shop Now! Take your anti-aging skin care routine to the next level with the Anew Power Serum. This firming and smoothing serum is based on Nobel prize winning research which resulted in the product to detect and repair visible skin damage. Advance boost technology works to hydrate your skin, smooth visible roughness and wrinkles, and return firmness to your face. It’s so effective that 93% of women agree that it dramatically improved skin’s appearence. * Anew Power Serum is a great compliment to your current skin care routine and works well with moisturizers. 1 fl. oz. This offer expires at Midnight, ET, August 31, 2016. Valid for mail delivery only, while supplies last. 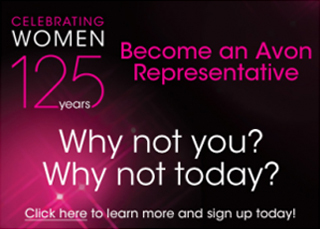 Avon reserves the right to substitute any free item with an item of equal or greater value. Limit one free gift per order.